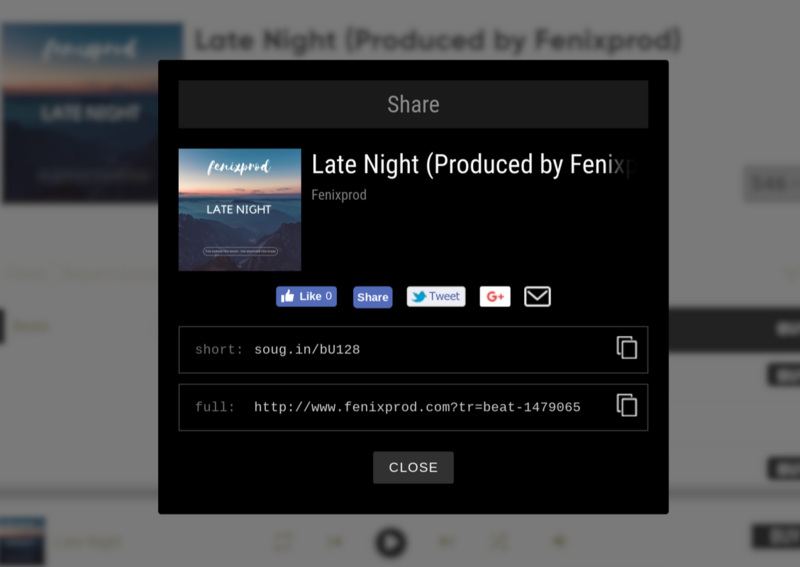 We wanted to make the share pop-up usable with better functionality so we added some extras. 3. Email integration. This is a direct result of several customers wanting to email themselves to listen and purchase later. This is another result of our big project so we are dropping these updates to Hydra. All other features requested on the forum are in the works, thank you for your patience. · SkillyMusic, Griffin , Breeze and 5 others like this. Much cleaner! love the short URL. The email part is great, I have customers asking me for this for ages. Excellent update, I concur with the email option, I have customers using it already. Thanks for the short URL guys. Sorry, but from today I see both links identical... NO mini one. Thanks :) Maybe it is some kind of a cookie bug in my browser!